Thanks to the unique technology of polarised lenses, the Polaroid sunglasses provide perfect vision, remove unwanted reflections and protect the eyes from ultraviolet radiation. They improve resolving power, the depth of sharpness and easy focalization. Polarised sunglasses by Polaroid filter out dangerous reflections and reflected white light. This makes them safe and suitable especially for drivers, cyclists, skiers, fishermen but they also work as a fashion accessory for everyday wear. 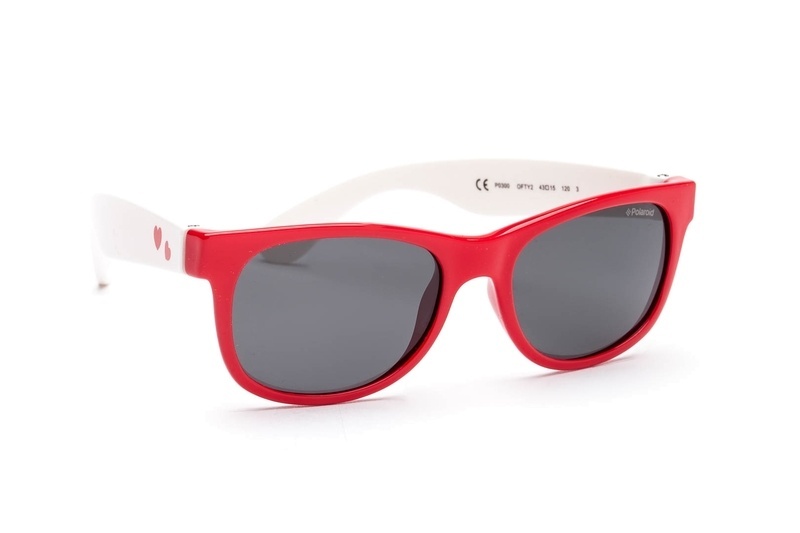 These children´s sun­glasses have red and white plastic frames with grey-toned polarised lenses. 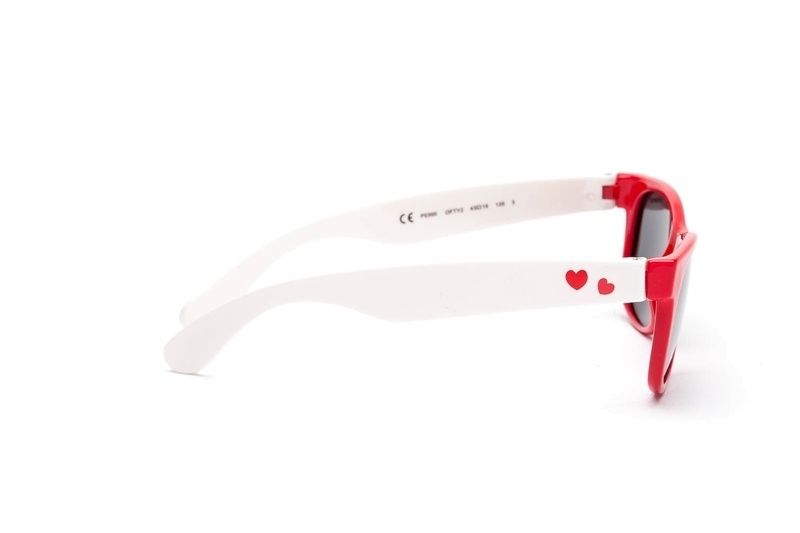 These sunglasses are designed for children aged 4 – 8 years. The Polaroid Twist sunglasses collection not only is colorful and playful but also lightweight and flexible. The frame is specifically made of high-quality, light, hypoallergenic rubber which is flexible and resistant. Trendy shades, elasticity, and lightweight and flexible frame design make the Polaroid Twist collection the perfect combination of functionality and variety. It is the ideal choice for active children. The high-quality material ensures high endurance, firmness and maximum functionality. 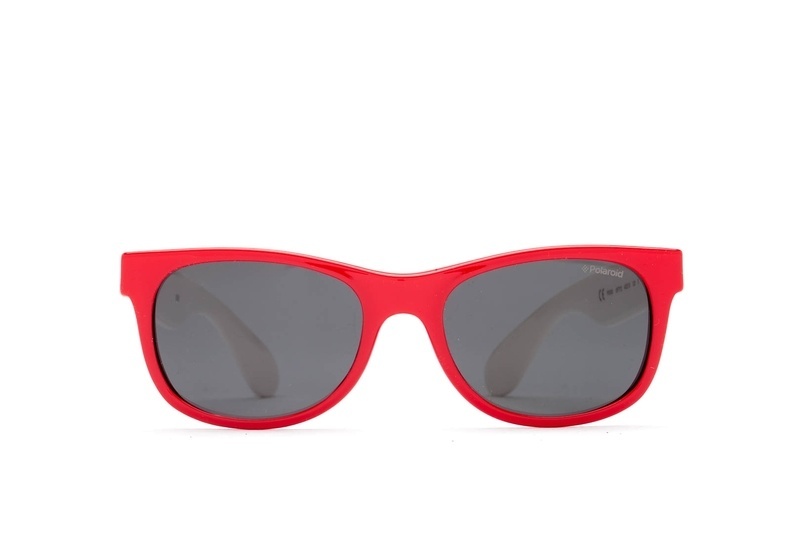 They provide 100% UV protection against solar radiation.